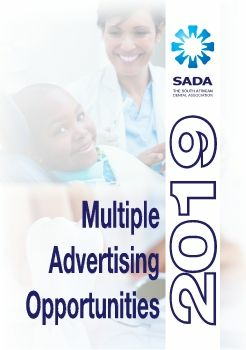 SADA represents the vast majority of active dentists in the private and public sectors in South Africa. The Association is regarded as the voice of dentistry in Southern Africa and is the most relied on body regarding all aspects of dental practice in the region. Access information and services, CPD, and opportunities only available to members. The Journal first appeared in 1945 when a group of academics recognised the need for a scientific publication by the professional association. It has been publicised without a break since then, and is available 10 times per annum (Feb–Nov) in English. The SADJ’s purpose is to provide a platform for both scientific content and for the dissemination of news pertinent to the members of the Association. The SADJ is the only accredited dental journal in Southern Africa. The South African Dental Association is extremely proud of their members in particular those who under the age of 35 years and members of the Young Dentists’ Council. The YDC encourages new blood and thinking in the Association keeping it vibrant and up-to-date with not only dental techniques but with practice requirements. SADA offer a dedicated mediation service for both the dentist and members of the public. Should disputes or enquiries arise regarding treatment, procedures, costs or claims between practitioner, patient and or schemes our Dental Mediator will offer unbiased ethical responses and advice. If you cannot reach the SADA landline number +27 (0)11 484 5288 during office hours you can email your enquiry to info@sada.co.za or you can contact us on 061 463 5791. Please note this is a standby number and will only be answered between the hours of 8 am and 4 pm Monday - Fridays. Practitioners registered with the HPCSA require to continue their learning and they do this by attending courses, workshops, events, and online CPD Questionnaires.